News about how tech sales are doing has been mixed, ahead of a flood of earnings reports from vendors. The roll call of companies due to report earnings next week includes some of the top names in tech: IBM, SAP, Yahoo, Intel, Advanced Micro Devices, Google and Twitter. Meanwhile, a variety of market research reports and a cautious forecast from Samsung paint a picture that is cloudy, albeit with some sunlight peeking through. NPD DisplaySearch made waves this week when it reported that tablet shipments for the first time ever declined in the first quarter. Shipments of tablet PCs were 56 million, down by 3 million from a year earlier, according to NPD. NPD also makes it clear that tablet market growth is slowing down for the long term. The company said that it has lowered its forecast for tablet shipments in 2014 to 285 million. That’s 30 million lower than its February forecast. In addition, in February, NPD said that by 2017, tablet shipments will climb to 455 million. It now believes that figure to be less than 400 million. Tablet market growth will slow down from 14 percent this year to single digits by 2017, NPD said. There is weakening demand for tablets with 7-inch screens, which comprise the bulk of the market, NPD said. Competition from larger-screen smartphones is also hurting tablets, it said. In any case, a slowdown in tablet shipments is bad news for tech. “For the past several years, tablet PCs and smartphones have been the primary growth driver in the smart device category,” NPD said in its report. There is bad news for smartphones as well. Samsung Electronics said it’s expecting a drop in its operating profit for the third consecutive quarter, citing among other issues an overall slowdown in smartphone market growth. The South Korean company, the biggest manufacturer of smartphones and tablets, said its operating profit will fall to between 7.0 and 7.4 trillion won (US$7.3 billion) from 9.53 trillion won in the second quarter last year. Samsung said tablet sales were sluggish because, among other things, they have a longer replacement cycle than that of smartphones. Tablet shipments are also slowing down simply because the market is becoming saturated, analysts point out. People who are prone to trying new gadgets and have the money to do so have already jumped on the tablet bandwagon—getting the remainder of the world’s population on board will be harder. There is good news for the ailing PC market, however. IDC said that upgrades from Windows XP PCs to newer computers during the second quarter helped buoy the PC market. 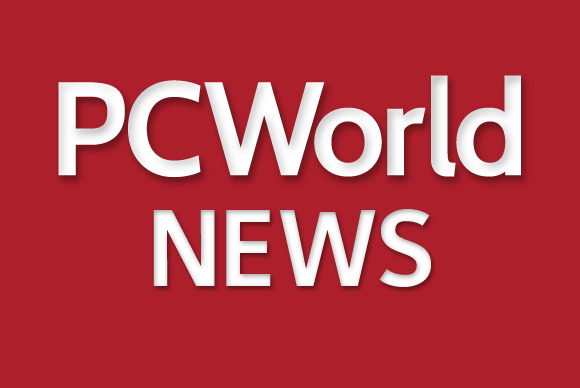 PC shipments worldwide totaled 74.4 million in the second quarter, declining 1.7 percent year over year, IDC said. Just two months ago, IDC forecast a decline of 7.1 percent for the second quarter. On its part, Gartner said PC sales were basically flat year over year, after eight quarters of declining shipments. Worldwide PC shipments totaled 75.8 million units in the second quarter of 2014, a 0.1 percent increase from a year earlier, Gartner said. The past quarter suggests that after a period of restructuring, in which people flocked to smartphones and tablets for entertainment and social media, the PC market is stabilizing. “While the end of support for Windows XP drove some of the sales in developed markets, it is the underlying business replacement cycle that will stabilize the market,” said Gartner analyst Mikako Kitagawa in the report. Gartner also said this week that worldwide semiconductor revenue is on pace to reach $336 billion in 2014, a 6.7 percent increase from 2013, and up from the previous quarter’s forecast of 5.4 percent growth. Next week, we’ll start to see how all of this affects the bottom line for vendors. “Smartphones and ultramobile devices, including tablets, are the growth areas from a system point of view,” said Ranjit Atwal, research director at Gartner, in a statement.